As if Amazon.com Inc.’s search for a second headquarters didn’t have enough reality-show-esque plot twists, last Friday (February 8) brought yet more. The e-commerce behemoth is re-evaluating its decision to set up an office in New York that was to bring 25,000 jobs to Long Island City, according to The Washington Post. Amazon is reportedly considering the turnabout amid backlash from certain locals and lawmakers who haven’t been enthusiastic about the idea of one of the most valuable companies on earth — one which just raked in its highest-ever annual profit — receiving tax incentives for setting up shop on their turf. 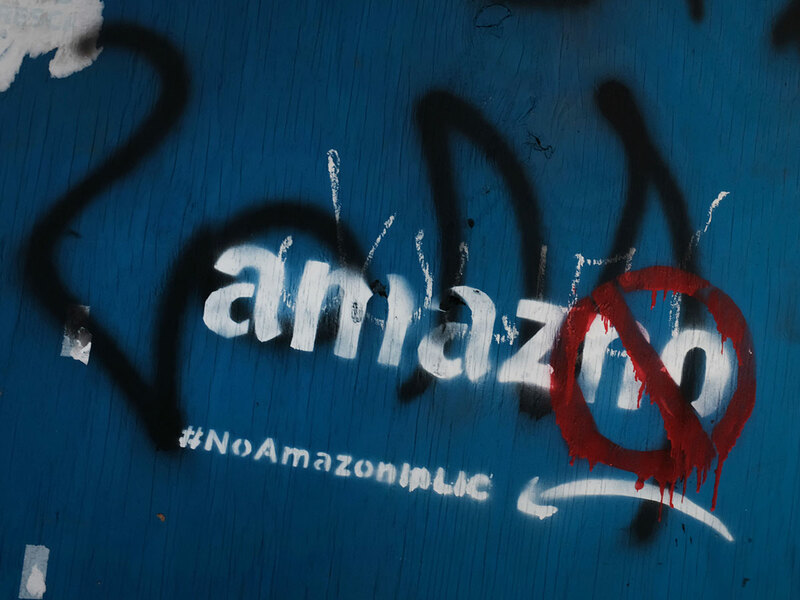 A separate report published later on Friday by the New York Times said the Post’s article had “gone too far and Amazon had no plans to back out.” It may well be that Amazon was simply dangling the threat of retreating from New York in order to pressure its supporters to pull out all the stops to make the project come to fruition. But if so, Amazon may end up regretting it, because I suspect this approach might only serve to ratchet up opponents’ fury. While some of the criticism around Amazon’s headquarters search was about substance, such as what its arrival in a given city would mean for housing prices and homelessness, quite a lot of it was about tenor. It was off-putting to watch the whole thing framed as a contest, and to see finalist cities announced as if it were a beauty pageant. It seemed weird and self-important that many aspects of it were treated like some state secret. And then, ultimately, Amazon didn’t even do exactly what it had said it was setting out to do: Instead of rewarding a single metro area with 50,000 jobs, it split the project in two, with one campus in New York and another in Northern Virginia. Whether or not Amazon ultimately pulls the plug on the New York office, this latest dust-up is yet another example of how it seems to be struggling to understand how its actions will be perceived by the public. Amazon is far, far away from its days as a scrappy start-up; it has ascended to the ranks of the world’s most powerful companies. American attitudes about Amazon are being shaped by a confluence of factors: a general queasiness about Big Tech, a backlash against the ultra-wealthy, and a president who regularly pummels the company and its founder, who also owns the Washington Post. Now the public is also trying to figure out what to make of Bezos’s slam of the corporate parent of the National Enquirer over what he alleges is an extortion attempt, with political ramifications. Amazon should’ve expected intense scrutiny of this project, and it should’ve known it wouldn’t be greeted solely as an economic saviour in whatever city or cities it settled upon. As it attempts to ingratiate itself with new neighbours, Amazon should be a bit more clear-eyed about the complexities of its arrival.